Humans have been growing mushrooms using low-tech approaches for more than 2000 years, and you can too! 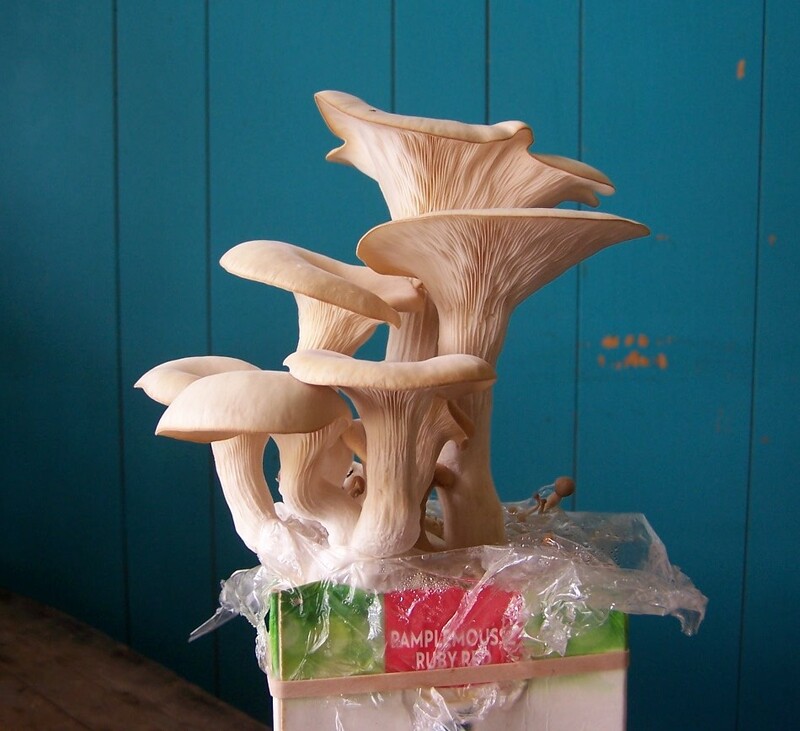 There is a growing movement of radical mycologists, home-scale mushroom growers and do-it-yourself kinda people who are experimenting with easy and cheap ways to grow mushrooms on recycled waste materials, without needing a lab or expensive materials. There are so many cool things you can do once you understand the basics about fungi, and I hope this blog will offer some inspiration for further mushroom adventures. Ja Schindler, fungi wizard of http://fungiforthepeople.org/ offers the term myco-resiliency to describe the ability to learn from and work with fungi in an ever changing environment. I feel this is key to approaching mushroom cultivation- as a mutual and dynamic relationship- led by your curiosity. Let is be respectful, reciprocal, playful and explore, connect, listen, experiment. My name is Danielle, and I have been growing mushrooms for about 7 years. This little business and its related projects- D.I.Y. Fungi- teaches people to grow their own fungal food and medicine. I also work on some small-scale bioremediation projects with fungi and other life. In this work I am really standing on the shoulders of inspiring teachers Peter McCoy and Willoughby Arevalo of Radical Mycology, Ja Schindler of Fungi for the People, and Leila Darwish of Earth Repair ; and drawing on the works of Paul Stamets, Tradd Cotter and others, as well as from my own experience of mistakes, failures, and things that have really worked. So hopefully you will have a starting point where you can avoid total failure, but I also hope you make mistakes and fail some because that’s where I know I learned the most. I’ve been engaging in this work on the unceded territories of Coast Salish people- in Victoria (BC), of the Lekwungen-speaking and WESANEC peoples. Currently I am living in Riverside, CA on the territories of the Cahuilla peoples. I am in graduate school for Environmental Toxicology, building more scientific knowledge and skills to further explore regenerative remediation strategies.